About Baliforyou.com (baliforyou.com): Travel portal offering information about the island's culture, hotels, restaurants, beaches, travel tips, and tours and global Alexa traffic rank is #225,616 for Baliforyou.com. The site can be found in the 'Travel Guides' category of websites. This site has been online for at least eight years. Visitors to Baliforyou.com spend approximately 72 seconds on each pageview and a total of 27 minutes on the site during each visit, and the site has attained a traffic rank of 17,313 among users in Indonesia, where about 47% of its audience is located. Baliforyou Holidays is one of the market leaders having business focusing in he promotion and presentation of Indonesia's richness to the international community. The astounding offers where Indonesia is seen as the perfect tourist destination are delivered through an Internet portal considered by the Baliforyou Holidays e-corporation as their no. 1, unparalleled realm of business, where Baliforyou Holidays strive to achieve perfection in customer care and satisfaction. In its infant state the company enjoys a rapid and prosperous growth and new market expansion due to the strong financial support and backing provided by their corporate Enterprise group, under the flag Khrisna Group of companies who are leaders in the market they serve. Under the wings of these powerful companies, and having a corporate office in Bali, Baliforyou Holidays offers fantastic packages that would disclose, like never before, the concealed beauty of Indonesia as a country with its vast astonishing culture and superb way of life. Moreover, much effort has been given to the design of packages that intensifies the deep elaboration of the exotic Bali, known to the world as the island of the gods. It is within these qualities, once in a lifetime packages that enables our customers to differentiate us from the others. For Baliforyou Holidays e-corporation, we place customer needs, and satisfaction as a first priority, and as such, we believe the quality of the packages remains yet to be the most crucial ingredient of our business. At its early stage, Baliforyou Holidays has already enabled world wide customers to experience the satisfaction of being served by true professionals who knows the true ingredients of making customers dream come true. We are convinced that competence and professionalism are the essential foundations upon which the customers confidence and loyalty is built upon. We are the best at what we do, we focus and not diversify and our business strategy can be summarized by only the words "quality" and "superiority". Since the day of its inception due to the speed of its growth, the company has built up a very impressive client base of customers from all over the world, and in regards to these customers,Baliforyou Holidays has now managed to earn their trust. Furthermore, in the fulfillment side of the portal, the existence of Baliforyou Holidays has gain the acceptance of major 5 and 4 star hotels, famous villas, and other fulfillment organizations and companies. Today the company has over 20 employees and with the principal occupation being the provider of a once in a lifetime heavenly tour, travel, courses, wedding and accommodation packages. Hence, the corporation is certain it will soon gain the title as the most prestigious travel portal in the planet. At the end, with all our success and our advances it is worth mentioning that we believe that it is actually our capable staff that brings beliefs, plans, opportunity and strategies to fruition. And accordingly, we invest great time and effort in training all our staff in quality of service, encouraging them to aspire to the highest levels of professionalism since we acknowledge that such training breeds confidence and creates the dedicated team who can handle international product specific demands tailored to the needs of each customer. Thus, it is natural to expect an important advantage resulting from all these stability. Never the less, with all the packages we deliver and with all the advantages acquired, never did we disremember that customers, and our business partners needs will change, as will the global nature of their markets. In such we strive to maintain a close relationship we have with our customers and partners and achieve excellence every step of the way, which will bring to ultimate fruition our "Professional partners in business" belief. In order to secure further market development the e-company has several ontracts and commitments. 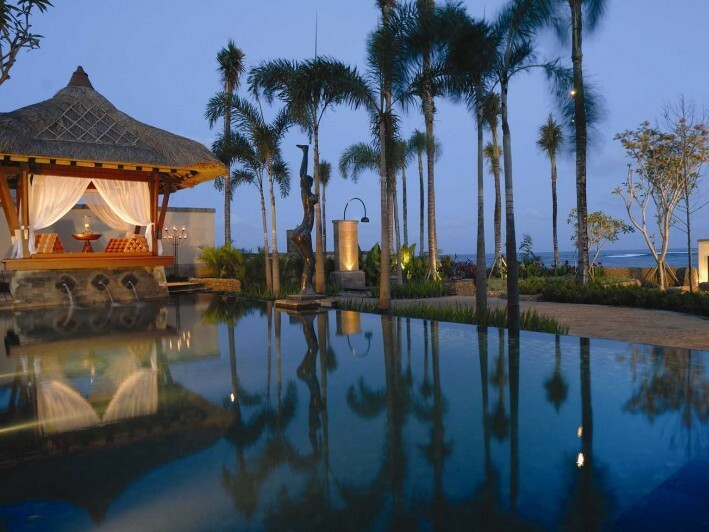 Several of them include, commitments and joint business venture with: 5 Stars, 4 stars, 3 stars, 2 stars, 1 stars Bali hotels, Bali villas, Bali boutiques, Bali bungalows. International wedding planner company. rent car companies. Bali Tours & travel companies. Bali Photo galleries. Bali Adventure package providing companies Bali Sport & adventure organization. Bali Arts & gallery organizations. Bali Ticketing and flight companies.Bali SPA & massage organization. Bali Special food Restaurants. Bali Flower delivery companies. All this commitment requires a continuing product mix development program for the company in order to maintain the high level of product offers that Baliforyou Holidays provides. Never the less, it is crucial to mention that in order for our customers all around the world to experience quality and satisfaction, Baliforyou Holidays too must only deal with partners who are paramount in their product quality and service and with this it is safe to say that Baliforyou Holidays will strictly focus its business towards being the only "quality provider of Indonesian tours, travel and adventure packages". Last but not least, its is important to briefly state that with many of our contact partners and affiliate organization in and outside of Indonesia generating the amount of on going number of customers, most of the products known to our business partners and customers are available in a product mix "tailored to the market" oriented style available for immediate delivery, which thus makes our business offer an irresistible one when compared to our competitors. Khrisna Group is a highly-diversified group of companies, based in Kuta, Bali, Indonesia. Its business ranges from garment manufacturing to oil and gas industry supply. Khrisna Group is supported by around 400 employees with offices and facilities in several key cities in Indonesia. With the strong leadership of the founder, President Director and CEO, Anak Agung Ngurah Mahendra, Khrisna Group is recognised as one of the Bali's business stars (SWA Business, Special Edition, August 2006). At its core businesses, Khrisna Group provides complete and integrated services with expertise in goods sourcing and buying agency, garment manufacturing and exporting, and trading of high-end decorative elements for indoor and outdoor. To support the core businesses, Khrisna Group also develops expertise in IT, Marketing Communications and tourism. The group decision to support oil and gas industry is part of the corporate vision on future demand as well as labor and technology intensive businesses. The concept of our business is to provide solution for business management problems that faced by our clients. As the tourism market begins to grow and mature, Baliforyou Holidays realizes hat in order to gain a competitive advantage in the e-business world it needs to focus its attention towards the entire market segments offering them that extra paradise touch. Henceforth channeling its marketing ventures towards all unique customers, who have different pleasuring taste and desires. As an online Travel portal, one way Baliforyou Holidays maximizes its international market coverage is to parallel the products offered by similar Travel Portal type businesses. In this regard, Baliforyou Holidays invites fulfillment organizations, embracing luxurious hotels, high quality tours and travel agency offering packages of unmatched quality, the capacity of becoming partners in the quest of excellence, to be the first to provide the most satisfying and fulfilling service as well as an exhilarating once in a lifetime experience for customers who want nothing but the best. Hence, Baliforyou Holidays offers nothing but flexibility, convenience, reassuring, uncomplicated and pleasant processes from its point of sale to its edge of fulfillment. Furthermore, with the vast complete range of product packages offered, the thoroughness of the information content and its online tour guides which will guide customers on the net on places to go and sites to see, customers will soon find there is no portal on earth that's better than Baliforyou Holidays. The end users of our product packages have always been Baliforyou Holidays target market. To reach the End users/customers we have recently employed and deployed a strategy that puts us in a definite "awareness" and "sell" situation. The strategy involves two parallel projects, which focus on international travel organization and end users/customers. One means involves the utilization of online guides - the destination tour and travel know it all - informing possible customers on an Internet online chat the many beauty and richness of Indonesia as a tourist destination. Apart from solely nforming, the guides automatically create product familiarization in the steps towards gaining the customers trust in our products and knowledge of service. In this regards, Baliforyou Holidays is in the process of embarking on a project to present the most stunning and striking community room which would appeal to the international tourism community as the most complete source of information, this we term as guides online. Travel Agent's license no. 551.21/1949/DISPARDA.